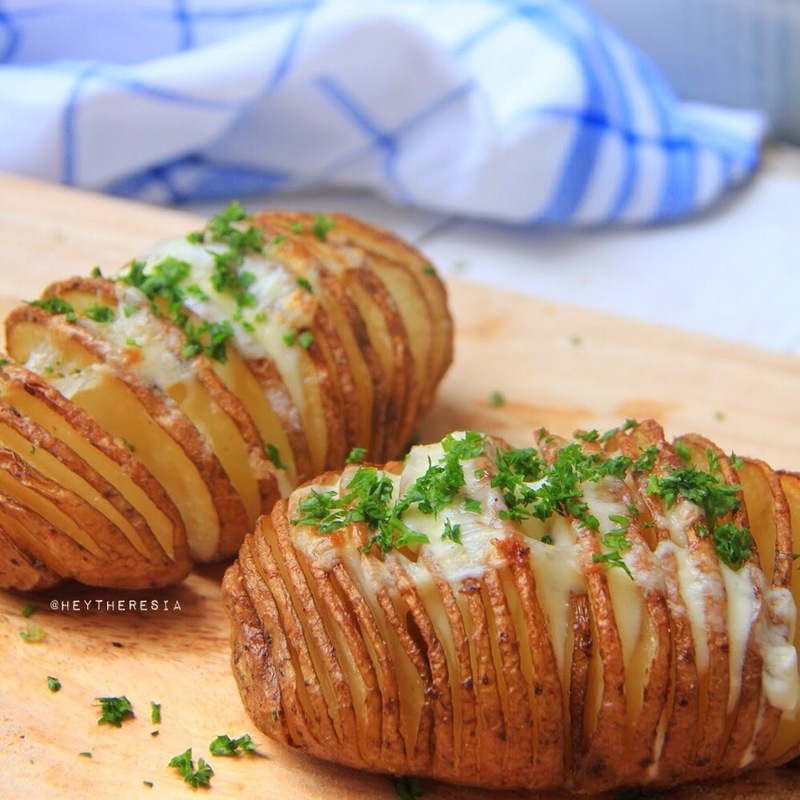 Slice the potato but not through, add the sliced butter inside the potato. Bake for about 40 minutes on 175C. pour the milk, bake again for several minutes. Add the cheese on top, into the oven again until the cheese melted.